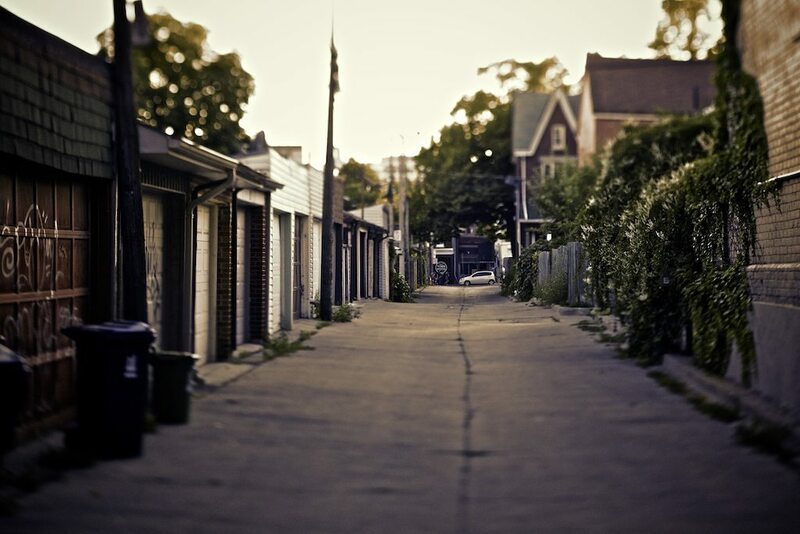 A laneway home in Toronto’s Summerhill neighbourhood. Image by livinginacity via the Torontoist Flickr page. 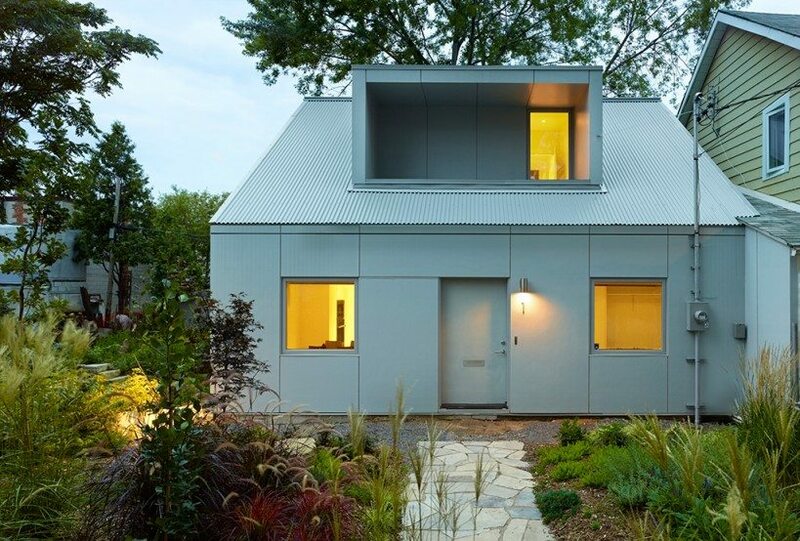 More images of this laneway house at inhabit.com. The reality is that we live in a city of rental shortages, increasingly out-of-reach housing prices, dwindling affordable housing options, and a population that keeps growing. Here’s where laneway housing comes in. Last month, community council passed a motion that requested that City staff report on a laneway housing initiative that would make it easier to create laneway suites. If approved, we can expect a staff report on the table early next year. This was the product of an independent study conducted by advocacy groups Lanescape and the Evergreen Foundation. Along with the support of Councillors Ana Bailão (Ward 18, Davenport) and Mary-Margaret McMahon (Ward 32, Beaches-East York), the group has proposed an as-of-right approval process for laneway homes, urging the City to change its current onerous zoning regulations that render the construction of new properties tedious at best, and next to impossible at worst. Comparable to a guesthouse in size, a laneway suite is a small standalone dwelling that sits at the rear of a residential lot and fronts onto a laneway. Thanks to some 300 kilometres of laneway real estate in Toronto, logistically, many Toronto property owners are capable of having one. Not only are they more atheistically interesting than a uniform row of condo buildings that house identical units, laneway homes could relieve a lot of pressure on the housing market. In offering more quality rental stock, it could open up access to more affordable houses in desirable neighbourhoods. It’s also a way for property owners to supplement mortgage payments many can barely afford. A Toronto laneway. Photo by Alisdair Jones via the Toronotist Flickr page. The concept, however, hasn’t been given the chance to materialize in Toronto the way it has in places like Vancouver—where laneway suites now house hundreds of residents. That’s thanks to the abundance of red tape that surrounds the idea in Toronto. Currently, laneway properties are incredibly scarce and pricey due to their treatment as a standalone unit (hence the red tape and never-ending building bylaws) and subsequent unique, intricate architecture. Most are for sale rather than rental units—something the proposal seeks to reverse. “When it comes to our housing situation, the City could do things; for example: laneway housing,” says Toronto Star urban affairs columnist Christopher Hume. “But the City has all kinds of rules against it—‘You can’t do it for this reason, you can’t do it for that reason; oh no, we can’t have that!’ Why? Says who and for what reason? 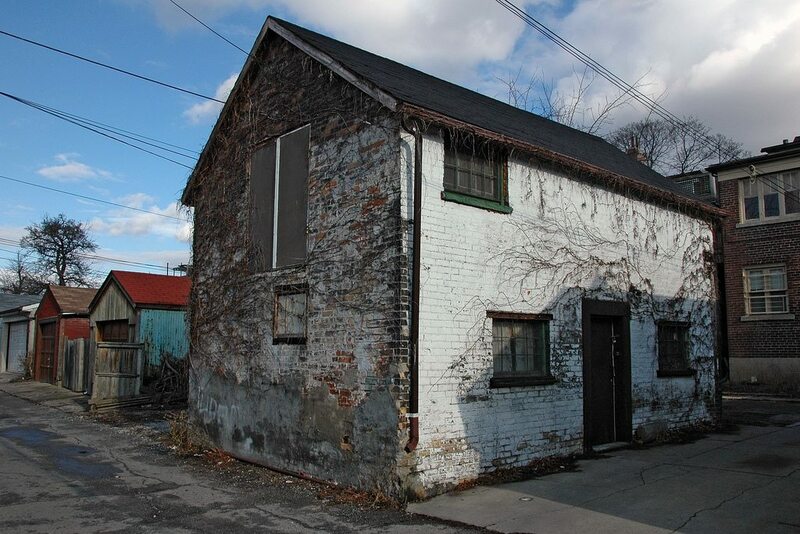 Brandon Donnelly, a 34-year-old real estate developer, has submitted plans to the City to build a laneway home behind the house he owns in the St. Clair Avenue and Dufferin Street area. “Look, nobody is claiming that laneway housing is going to solve all of our affordable housing woes. But it will do two important things. One, it will unlock new ground-related housing, which is precisely the kind of housing that we’re no longer able to build at scale. And two, it will create additional rental housing,” says Donnelly. Hume and Donnelly aren’t alone. The consensus of hundreds of participants during community discussions lead by Lanescape/Evergreen was that Torontonians think it’s time to explore and embrace laneway housing. The resulting report recommends that the suite shares services with the main house (like some utilities, garbage removal, and emergency vehicle access) and can’t be severed from the property, as opposed to being treated as a standalone residence. It also proposes the adoption of straightforward permitting that exempts units from development charges or permit fees. In addition to minimum and maximum sizing regulations, the report also suggests regulating the orientation of entrances to the laneway, along with the roof, windows and balconies of the homes. “The footprint that we’re proposing is very aligned with the currently allowed footprints for garages. So, we’re not looking at significant loss of green space, sun or air in backyards,” says Sorbara. 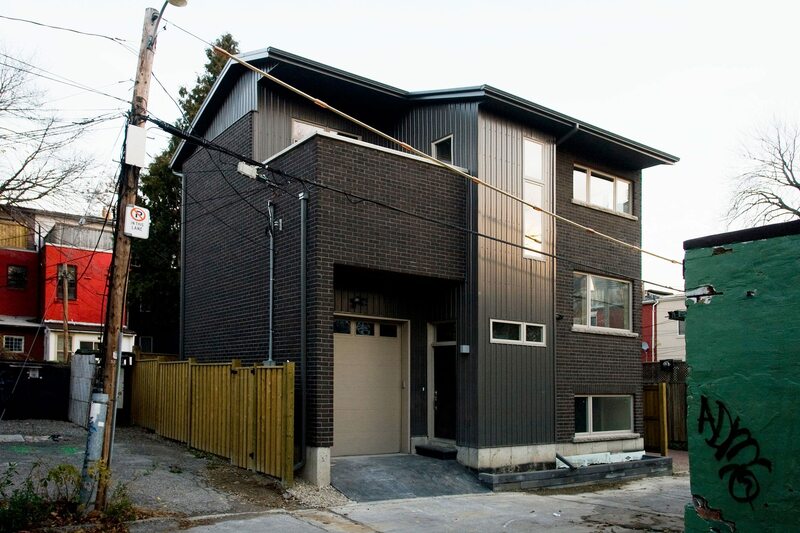 Not only would such laneway housing offer a revenue stream for homeowners balancing large mortgages in the same fashion as a basement apartment or nanny suite would, it allows access to desirable, school-filled and tree-lined neighbourhoods that are increasingly out of reach for pavement pounding Torontonians. A recent Toronto Region Board of Trade study found that more than two-thirds of Toronto’s young professionals between the ages of 18 and 39 have kissed goodbye the idea of owning a home or upgrading to a larger one. That doesn’t mean, however, that they’ve committed themselves to go by the way of New York City and raise families in condo units—they want single-family homes. Half reported a desire for a single-family home, and 81 per cent said they do not want a condo. In addition to this demand, Sorbara says that laneway homes can also help in dealing with our aging population, relieving both the cost of housing elderly parents and pressure on Toronto retirement homes with long waiting lists. 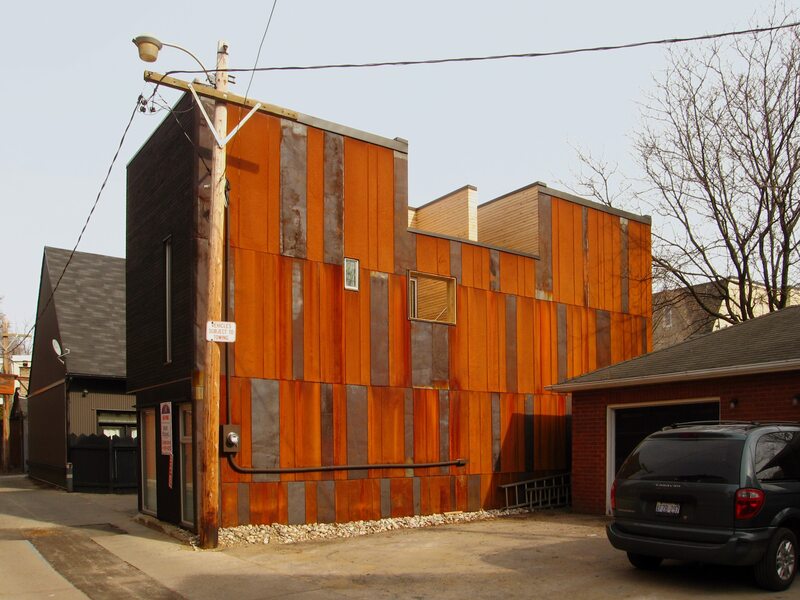 A Toronto laneway house. Image by Francis Mariani via the Torontoist Flickr page. In fact, the way he sees it, instead of shutting people out of the neighbourhood—a by-product of gentrification—the proposed changes would actually let people back in. Laneway suites would essentially range from a bachelor suite to a two-bedroom apartment. “If we’re going to maintain healthy, mixed, vibrant neighbourhoods, then we can’t have only those people who can afford to spend $2 million on a house living there,” said Sorbara. Naturally, the idea of laneway housing (or any type of progressive change) is not without its critics. Among the counterarguments is that more laneway homes will result in congestion in alleyways, blocking both emergency vehicles and fire trucks. In response, anything from smaller fire vans, to restrictions that enable fire trucks access through yards have been proposed as of late. “I remember when somebody was like, ‘It’s not big enough for the fire trucks and the garbage trucks’—so get smaller ones! Drop your garbage at the end of the laneway—we can’t deal with that? It can be a done deal, and we can never talk about that again,” says Hume. Then there’s the whole parking issue. For many, the assumption is that most laneway inhabitants don’t own a car—and hence, don’t need parking—but the reality is that many may if families move in. The potential loss of parking space for inhabitants of the main home is of consideration, too. Finally, some claim adding laneway suites to the City’s rental supply will make little of a dent in terms of inventory compared to the demand. But if they’re an option available to Torontonians, even a small dent is better than nothing. “The proposed ‘laneway suite’ guidelines do not contemplate land severance because the idea is that the suites will function as a means for intergenerational living or as new rental stock. So, here’s the thing: Do you think Toronto would be better off with more, or with less, rental housing?” asks Donnelly. For a city as innovative as ours, we’re certainly lagging behind other cities when it comes to creative solutions to house city residents of all backgrounds. Consider Vancouver, where recycled shipping containers have been converted into homes to house the city’s most vulnerable; or Ottawa, which recently approved regulations for building backyard houses (another idea all together) on lots that lack laneways, treating the backyard property as a secondary suite. It’s time to open our eyes to more progressive solutions to address the lack of affordable housing options; Toronto’s loosening of laneway housing rules is the first step to make this happen.